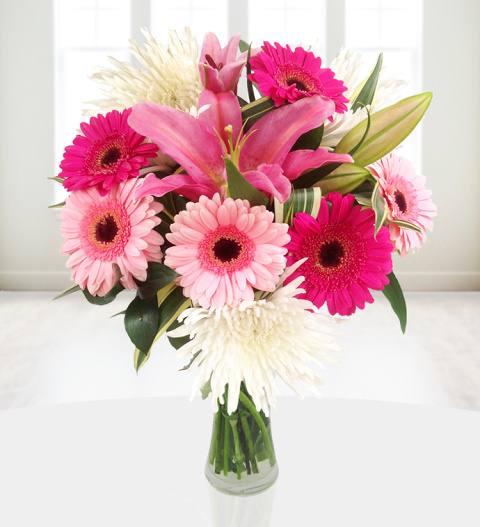 Our Charmed bouquet is a dashing bouquet with chrysanthemum blossoms, pink germini flowers accented with sweet smelling oriental lilies framed with green dracaena. This bouquet has that instant wow factor and is perfect for all occasions. Charmed is available for UK next day delivery. Chocolates may contain nuts.